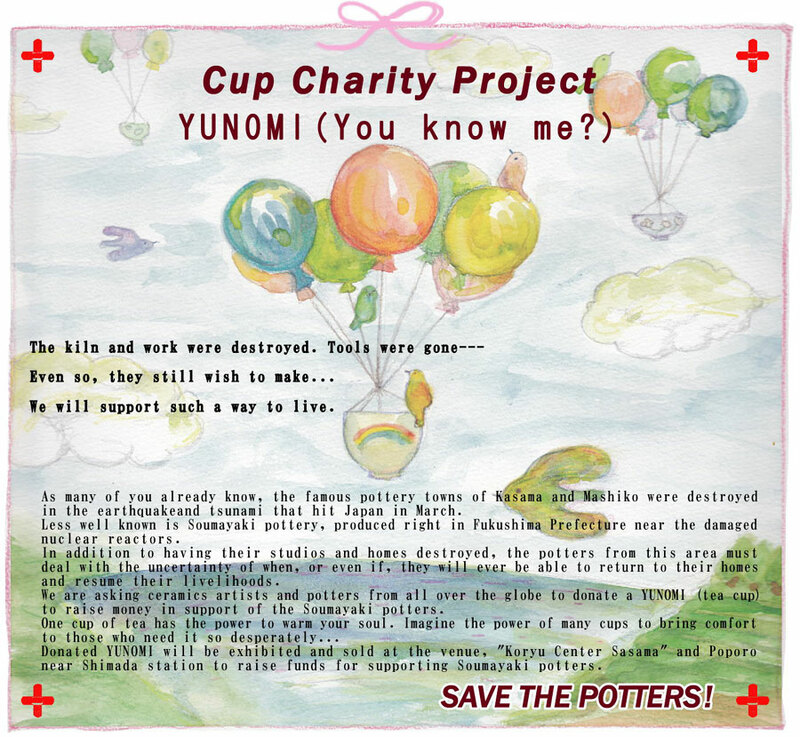 The International Ceramic Festival in Sasama (ICAF), Japan, has organised a cup charity project, ‘Yunomi (You know Me? )’, to raise money for the Soumayaki potters. Many of us have heard about the pottery from Mashiko and Kasama, but few of us know about Soumayaki pottery. This is produced in Fukushima prefecture, close to the damaged nuclear reactors. Many potters from this area have not only had their studios or kilns damaged, but have also had to evacuate their homes, not knowing if they will even be able to return. This entry was posted in Japanese Potter Aid, News from Japan. Bookmark the permalink.